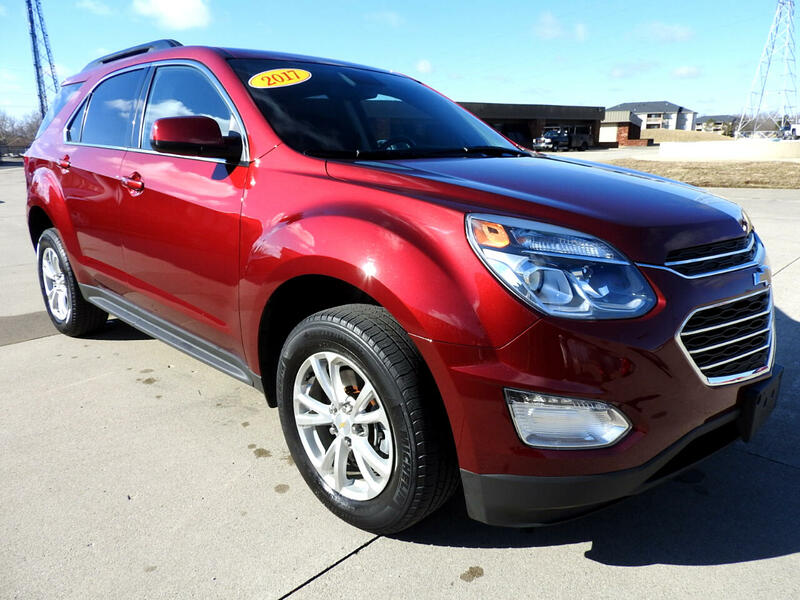 1-owner 2017 Chevrolet Equinox LT with a fuel sipping 2.4L 4-cylinder Ecotec engine, AWD, clean and NON SMOKER black cloth interior with heated front seating, sunroof, keyless entry, power locks, power windows and mirrors, power driver's seat, Backup Camera, Blind Spot detection, Navigation, Bluetooth hands-free wireless calling available with Chevy MyLink. SiriusXM Satellite radio plus free 3-month subscription FREE with vehicle purchase. Clean Carfax report showing no damage or accidents, it's a clean one!